Anne has over 20 years of experience across healthcare from leadership positions in industry, academic medicine, and strategy consulting. She currently leads the Medtech and Digital Health practice area at ClearView Healthcare Partners, a global strategy consultancy focused exclusively on the life sciences. 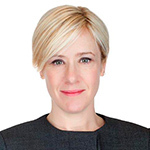 Anne has significant expertise in advising global medtech companies and investors on growth strategy and value creation opportunities, particularly in the areas of diligence, market access, and commercial / go-to-market strategy.